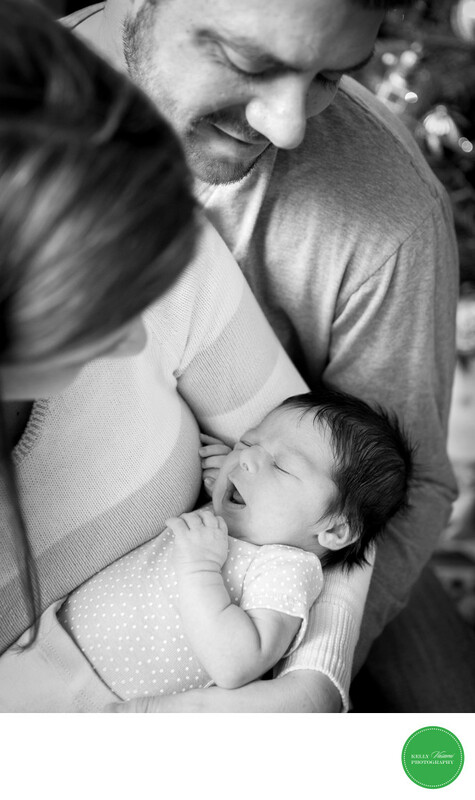 Classic black and white photo of a newborn baby cradled by mom and dad. This image will stand the test of time, shot with natural light and the ambiance of mom and dad in awe of their little treasure. Baby is nestled in comfortably with a sweet expression, showing off his little fingers and full head of awesome dark hair.